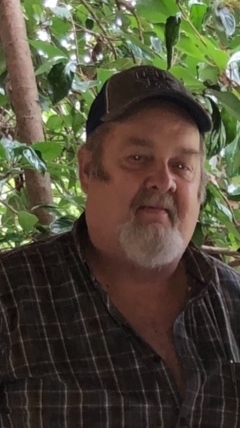 Michael “Mike” Charles Short, 60, passed away in his sleep at home on Saturday January 26, 2019 in Green Cove Springs Florida. He was born December 7, 1958 in Tampa Florida. On May 14, 1994 he married the love of his life Debra Jackson in Green Cove Springs. Michael’s passions were driving his semi-truck and spending time with his wife, daughters, and grandchildren. four great grandchildren, Cason, Ivan, Hunter, and Penelope, as well as many nieces, nephews, other relatives, and friends. He was preceded in death by his parents Charles and Sybilla Short, mother-in-law Evelyn Ratliff, father-in-law, Donald Ratliff, uncle, Ronald Pearson, nephew Donald Jackson, and sister, Sylvia Short. Funeral Services will be held 1:00 PM Thursday, January 31, 2019 in the chapel of Russell Haven of Rest with Rev. Barry Mathis officiating. Burial will be in Little Ruth Cemetery. Visitation with the family will be from 5-7:00 PM Wednesday evening at the funeral home.